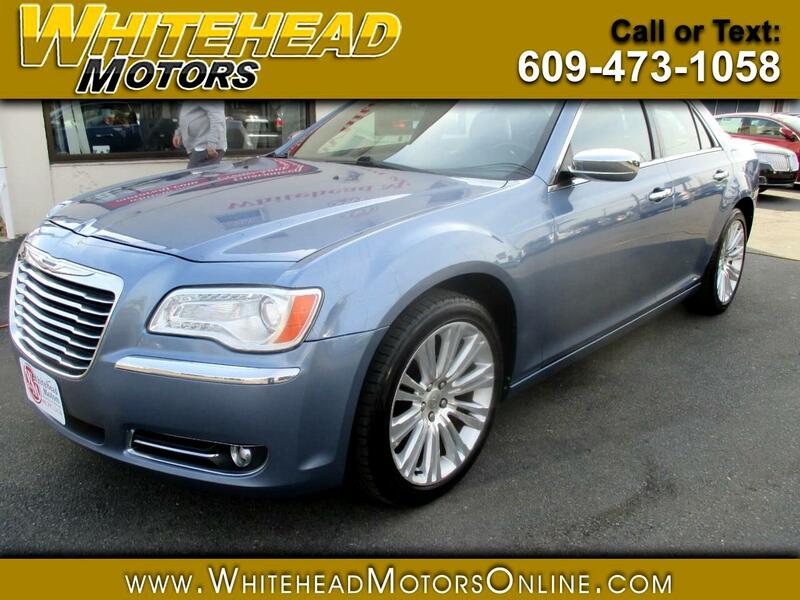 Stunning from every angle, our Accident Free 2011 Chrysler 300 Limited in Sapphire Crystal Metallic offers a comfortably composed ride and luxurious amenities! Powered by a proven 3.6 Liter V6 that generates 292hp while tethered to a 5 Speed Automatic transmission. Enjoy impressive acceleration with this Rear Wheel Drive and score near 27mpg on the open road! The exterior is highlighted by the signature grille, fog lamps, and dual bright-tip exhaust. Open the door to the Limited cabin that feels tailor-made for you. You'll enjoy remote engine start, a leather-wrapped steering wheel with mounted controls, power-adjustable heated leather front seats, and the Uconnect system that features voice command, Bluetooth, a touchscreen display, Navigation to help you on your way, an incredible sound system with available SiriusXM radio, and other top-shelf features! Our Chrysler was named a top safety pick and is loaded with equipment such as a rear view camera, hill start assist, rain brake support, ready alert braking, daytime running lamps, stability/traction control, as well as a fleet of airbags. You can breathe a little easier loading the kiddos into the back of this sleek sedan. This is an excellent blend of performance and style that will make a classically elegant traveling companion! Print this page and call us Now... We Know You Will Enjoy Your Test Drive Towards Ownership! Get Approved In Minutes at Whitehead Motors. We Make Car Buying Easy.